­­­­Here’s another one. Another hole in the earth. 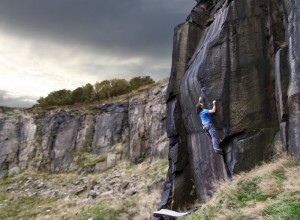 Another rock-sided gape in the smooth face of Lancashire. Or perhaps… Here’s another one. Another land-eye opened. Another portal to kinaesthetic transcendence. 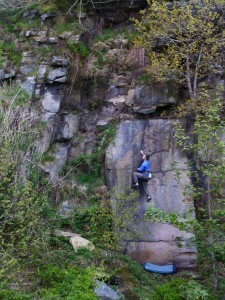 The crag is Lower Montcliffe. The perspective is up to you. Unless of course, you think it’s a chosstacious grimstickle, rimmed with gloom, seeped in frown and an insult to the majesty of King Caley, Prince Stanage and all the Nobles of Llanberis Pass. Then you’d be wrong. And silly. And also, you’d be using words which aren’t real words. THEY AREN’T REAL WORDS. Monty is great. Sure, it’s only ickle. But so are smarties. That doesn’t stop them being tasty. It just so happens Monty has two top notch lines, as well as a good smuffle of other enjoyable wotnots. And yes, I do mean TOP NOTCH. I do mean the very bestest notch, higher up than all the other notches. Super tasty line. Super crimpy. It’s called Information Highway Revisited and it’s 7C+. It seeps after wet weather, so if you fancy your chances, you’ll need to pounce when planets and weather systems align. But that one’s hard. What about something more people can climb? I give you Bad Mama Jama, 7A+. I’m well chuffed with this. I spotted it years ago, but only recently (thanks to the gift of a stake from Rick Ginns*) I managed to excavate the topout, sort the landing and get it done. The climbing was worth the effort. 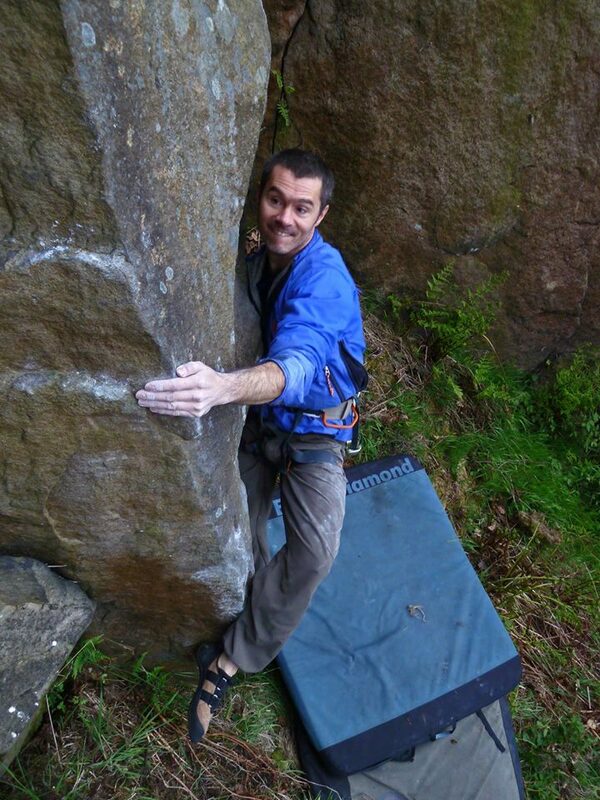 Highball clamp-slapping between a sharp arete and large sidepulls, with feet pasted on perfect quarried steepness. There’s a video at the end of this post if you want to see more. This one dries after a day in the sun, and would be a classic in any county. Go get some! *Yes, this means you can work it on toprope. I did. It has also been done groundup. Those are the highlights, but there’s more fun to be had. 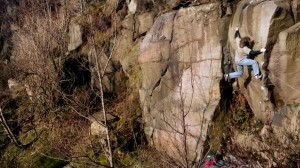 On the adjacent wall, Indian Face 7A and Battlestar 7B/+/C (grade depends on which start you pick) are both good problems. Dinosaur Adventure 3D 6C+ is another, though you might need to debramble. Flow Chart is probably undergraded at 4+, but a classy highball for anyone comfortable ticking 5’s. 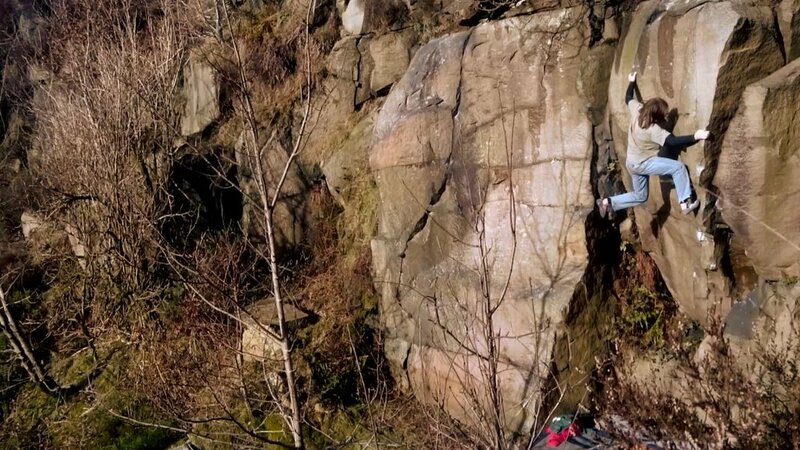 And there’s the rest, which includes a great fast-drying slab for lower grade fun (4 up to 6C), a steep traverse for woody-warriors (Ringdance 7A+) and a funky undercut battle (Maid In Stone 7A). 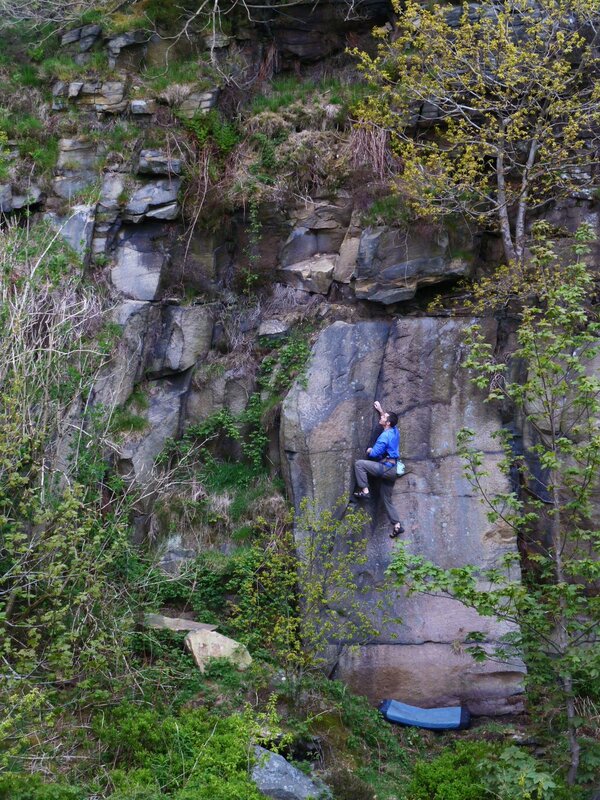 Oh yes, and two of the best trad lines in Lancashire at E1 and E4. But let us not think of vulgar things. Let us think of portals to kinaesthetic joy; of sculptured rock; of sunny bays and quarry psyche. You know, there’s also some graffiti. And more here from 3.10.